Home / Automotive / Cars / Honda Civic: Supercar Smoking Machine! One wouldn't put Honda Civic and Supercar smoking machine next to each other in the same sentence but, fortunately for us, someone did. One of the most beautiful things about the aftermarket modification community is that you don’t necessarily need to have a ton of money in order to build a fast car. Sure, being able to have the luxury of buying something like a Nissan GT-R and sinking hundreds of thousands of dollars into sending it to a top-notch shop is certainly something that would be nice. However, if you’re resourceful and have a good amount of knowledge about how certain platforms work, you can make your way to the top without breaking the bank too badly. A budget build might be something that is easier said than done. It's certainly not a given that, just because you apply certain parts to a particular setup, it’s all going to come out alright. As many people will tell you, once the project starts to get rolling, saving money can really be an art form that’s hard to come by. However, if you keep your eyes on the prize, anything is possible as you put together just the right components with a very and special touch as you make your way towards a machine that’s not only admirable but also something that can do its fair share of defeating other cars when push to comes to shove. Check out the video below, brought to us by That Racing Channel, and you’ll see a pretty awesome Honda Civic, one of those cars that can either be smoking fast or incredibly slow depending on which one you happen to stumble upon – and the best part is that they might both look the same! 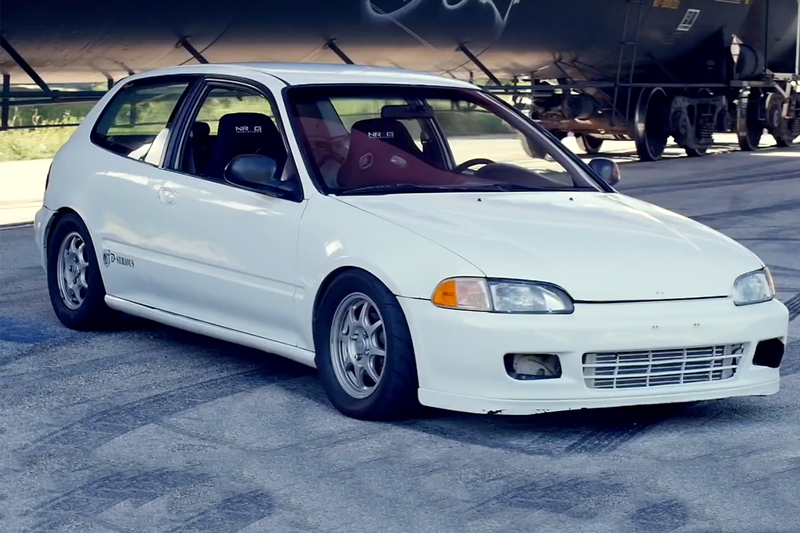 If you’re in the racing mood, you better hope that you don’t come across this sleeper of a Civic, that’s for sure.